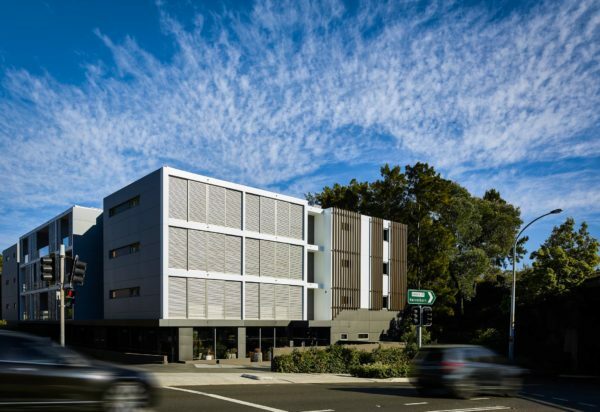 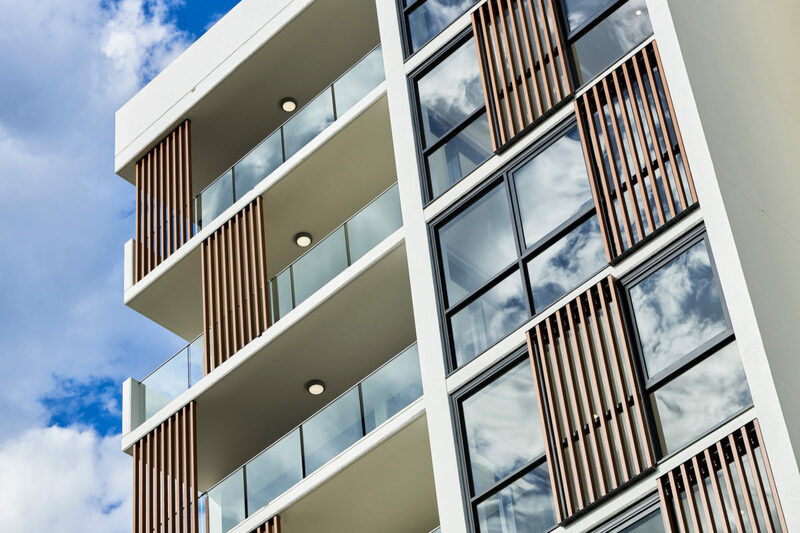 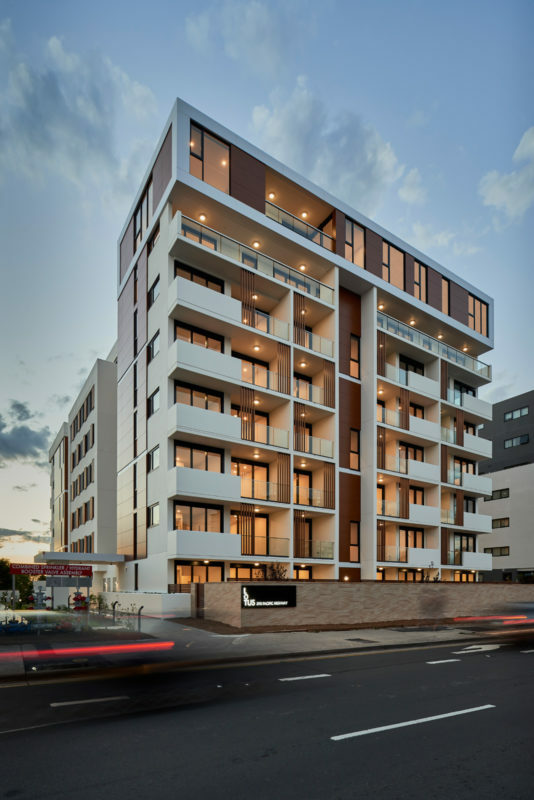 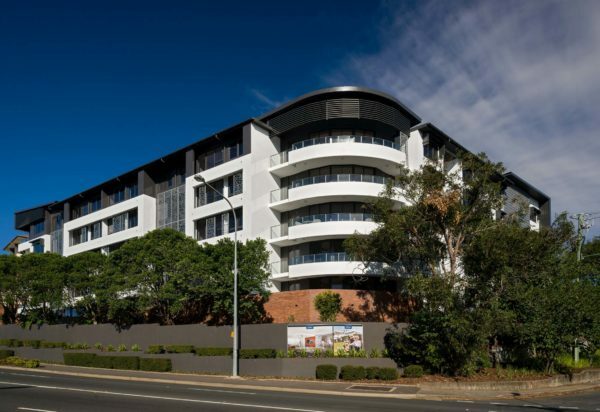 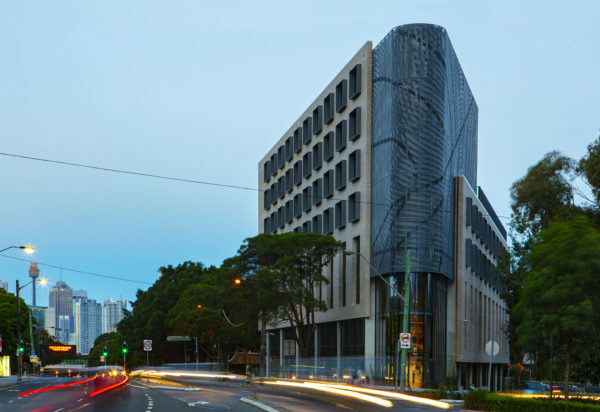 Lotus in Lane Cove is a 67 apartment development upon a rezoned island block bound by the highway, quiet residential precinct and Lane Cove tunnel. 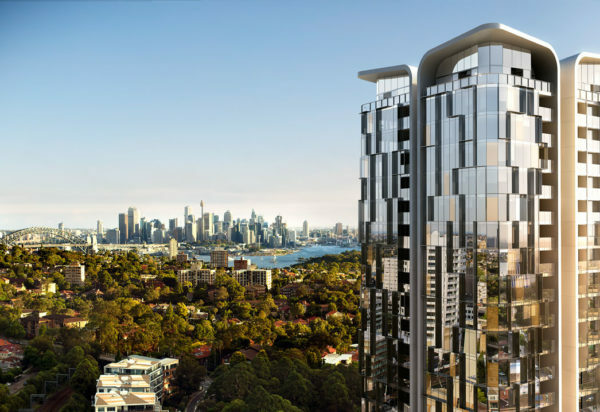 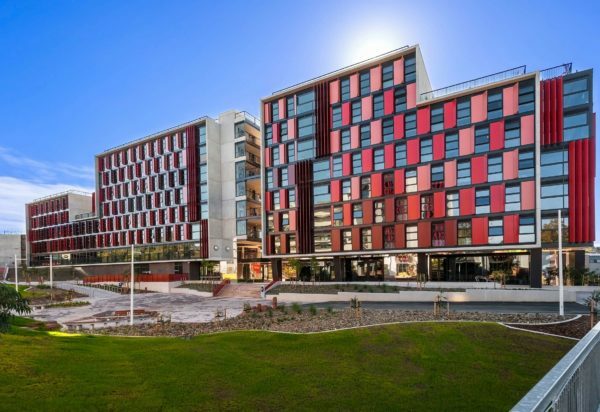 Lotus is an urban renewal project for a site that was isolated and underdeveloped, yet within walking distance to amenities and with panoramic city views. 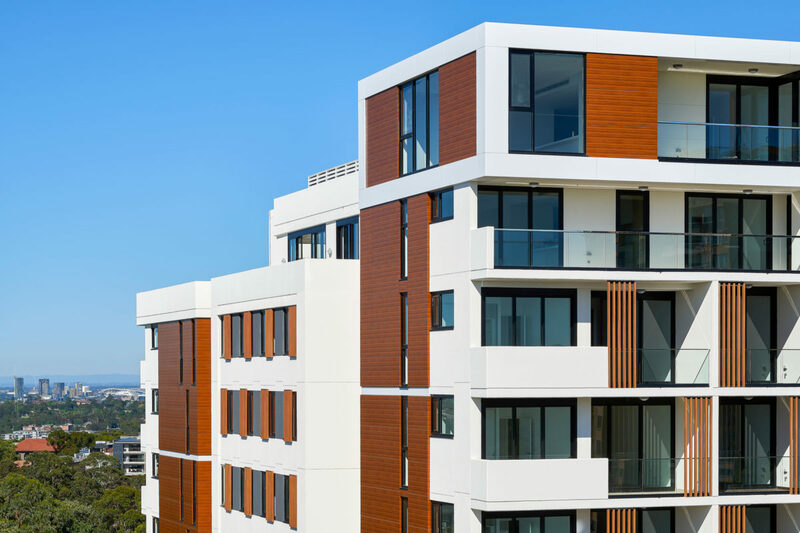 The planning takes responds to the dual frontage site and views by maximising the apartments to the vantage outlooks. 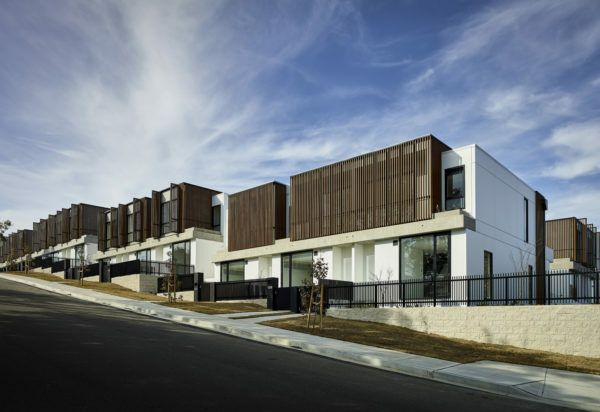 Lotus steps with the topography, the external composition responding to the different environments of the highway and rear suburban street. 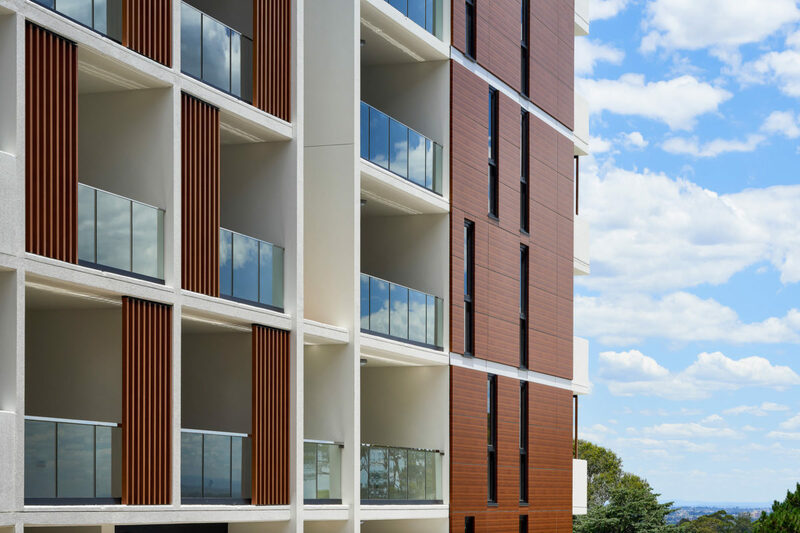 The architectural expression is a simple built form, with a controlled modern palette of colours and materials to contrast each other harmoniously. 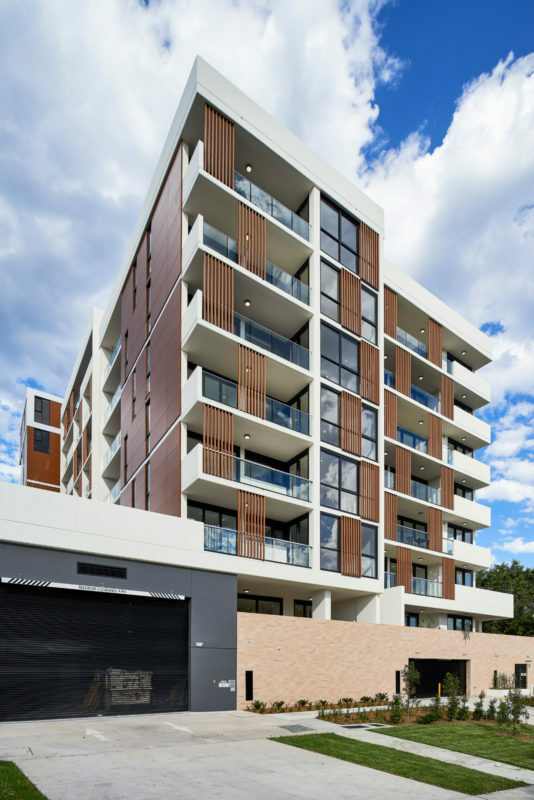 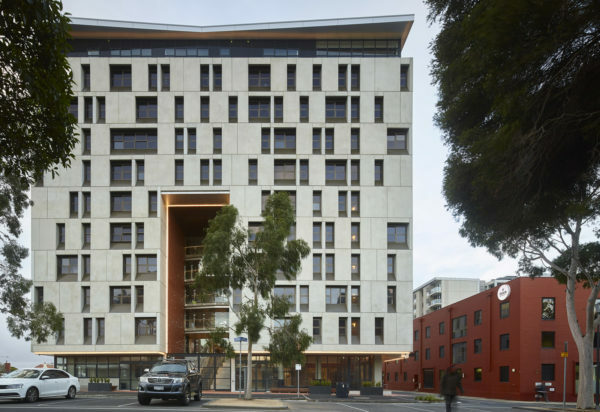 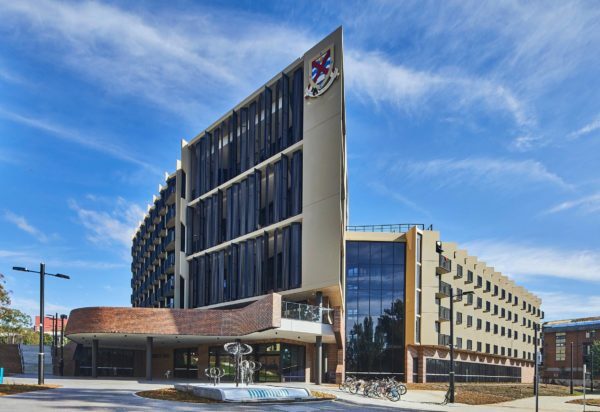 The introduction of timber and sandstone elements adds warmth and a tactile quality against the dominant white massing. 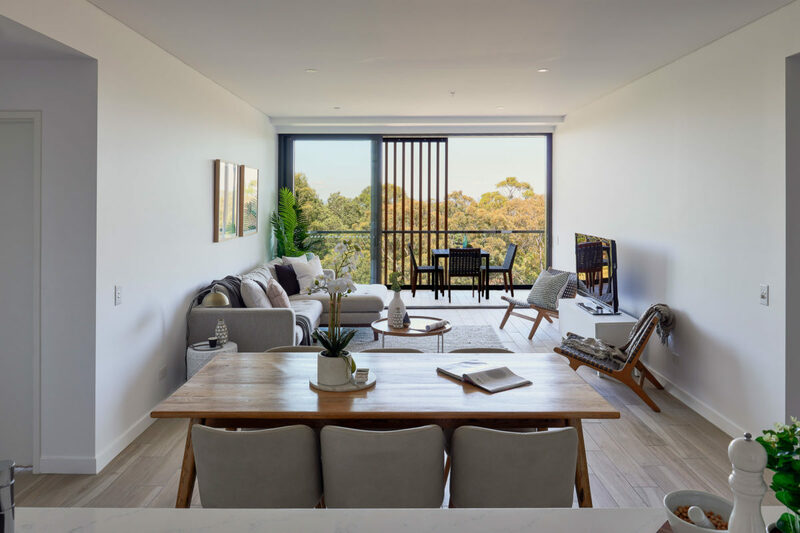 The interiors are bright lively spaces designed for contemporary living with simplicity and function as driving forces that complement the overall architectural design.